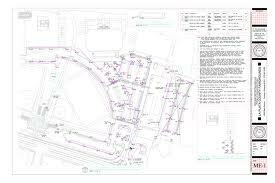 A construction surveyor’s task involves a lot of demands. These demands include initially collecting information retnrding the existing site, comparing these existing site conditions to the plans and previous surveys, and preparing to and staking out multiple site improvements. These site improvements may be for multiple contractors, who all make the requests at the same time. Atnin, it is common for mistakes to happen at this time because of the construction surveyor possibly rushing the work to satisfy everyone. And, as stated above, site conditions change suddenly which requires sudden alterations in the project and in coming up with an immediate response or an appropriate remedy. Upon the completion of the project, the construction surveyor checks whether or not the resulting work has been built according to the plans. If you are looking for a reliable and highly qualified construction surveyor for your Construction Surveying need or other Land Surveying Services, Please call ​Jasper Land Surveying at (423) 301-8001 or better yet, fill out our contact request form.